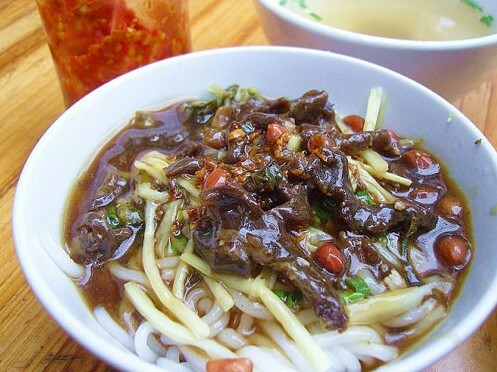 The famous local snacks in Hainan, made with rice noodles with delicious soup and various accessories. The name is from the most famous rice noodle in Baoluo of Wenchang Town, as the noodles thicker than "Hainan Rice Noodles", the northern people of Hainan also called it "thick rice noodles soup". It is very delicious with many kinds of ingredient in it like peanut, beef and vegetables. Here is a famous eatery that you can go to enjoy the authentic local snack in Sanya – the Baoluo Rice Noodle Fast Food Restaurant.